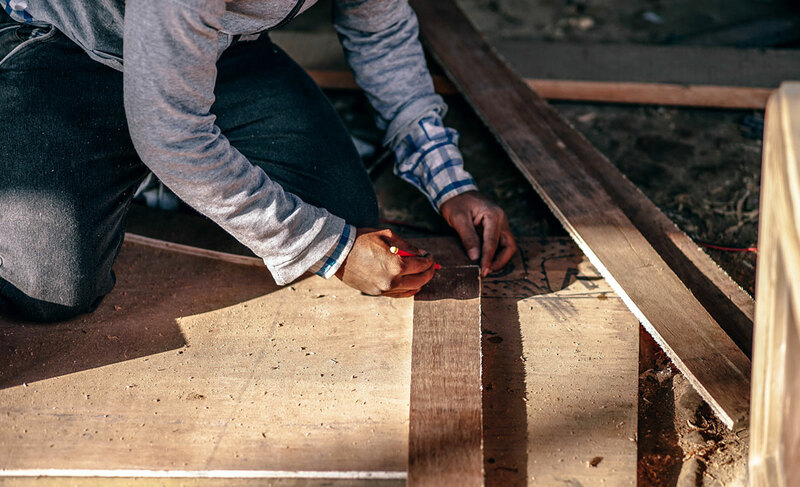 Dealing with ever escalating construction costs is an unavoidable reality for store development leaders. Indeed, it’s part of the job description itself. But as retailers sift about for new strategies to keep up with a rapidly evolving consumer, so too does it become increasingly difficult to minimize rollout spends. To get a better picture of how brands are adapting their processes, we spoke with two leaders from different sectors, gaining insight into the challenges that lie ahead. 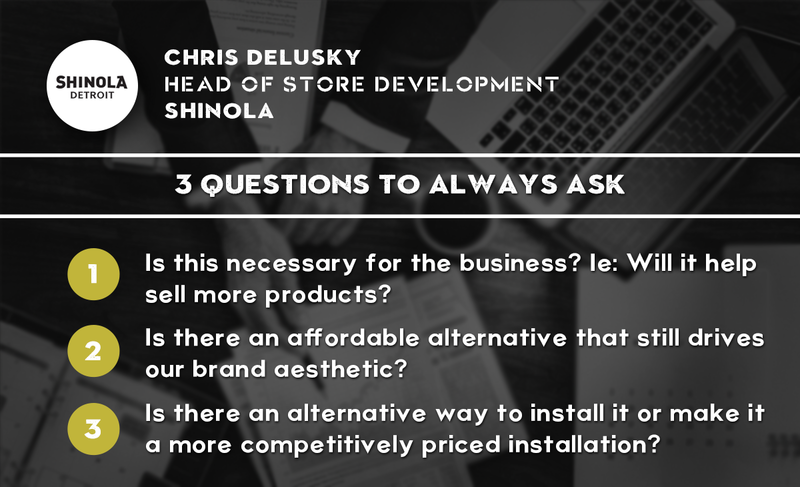 As Head of Store Development at Shinola, Chris Delusky admitted aligning the latest design directives with the pressures of budgetary restraints can be difficult to do in 2018. While it’s a shifting role, there are a few familiar hurdles in store development that will always remain. In order to counter the flow-on effects of labor shortages, convenience store chain, Speedway, has developed somewhat of a grassroots approach. 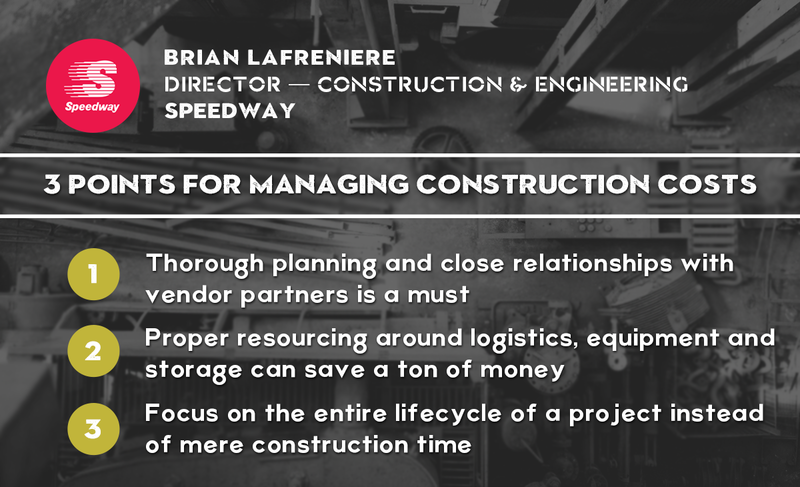 With close to 3,000 stores across 21 states, the brand’s Director of Construction and Engineering, Brian LaFreniere, said instead of relying on “more traditional bid-build kind of work,” Speedway has enjoyed success with strong contractor partnerships. Over the past three years, the company has also made the effort to foster close relationships at the subcontractor level for each project it rolls out. Delusky also believes retailers could soon feel the ill effects of turbulent political and economic developments on the global stage. Trade restrictions imposed on certain imported materials and friction in international relations is not only stirring uncertainty, but may also directly affect rollout operations. “I have heard there are challenges with the trade of merchandising fixtures because of international manufacturing pressure,” Delusky said, revealing he’s expecting some prices to inflate as much as 20 percent. 40 to 45 percent of Shinola’s development costs center around procuring fixtures. While much of its display and cabinetry work is carried out locally in Detroit, many loose in-store merchandising components are sourced overseas. Delusky is already thinking about available options, should political tension escalate. With a growing number of considerations to take into account, efficient time management is of critical importance. As a specialty retailer, Shinola’s insistence on preserving a distinct vision all the way from Creative Director to the store floor can complicate things. When it comes to facilitating this journey, knowing how to manage time like a tangible resource is just as important as the delicate diplomacy that’s required. “There’s bound to be very boisterous conversations among your internal team, the architect, your external contractors as well as everyone else involved, so you really have to start the whole process as early as possible,” Delusky said. At Speedway, LaFreniere has been re-examining how time can be used as a marker of success. Instead of focusing on the time it takes to go from first shovel in the ground to peeling the plastic off new window panes, LaFreniere prefers to zoom out on a project’s entire lifecycle. “What we weren’t asking is how long it takes right from when we put that property under contract until we open the doors. While such a mentality may lead to quicker rollouts and larger savings, ultimately, it also contributes to one of store development’s biggest looming pressures. With the speed at which rollouts tend to occur increasing year to year, retailers need to keep honing their value engineering methods to prevent budgets from blowing out. Partly due to its sheer size, Speedway has taken steps to ensure value engineering is an inherent part of the development journey. The convenience retailer has a dedicated team for cost cutting analysis built-in to its engineering department. Not only that, the company encourages suggestions both internally, as well as from partnered contractors. For Delusky, evaluating a design initiative and minimizing cost begins with three questions. There’s one shapeshifting variable both Delusky and LaFreniere agreed is increasingly difficult to account for. That is, unsurprisingly, the modern consumer. “What the customer expects in a convenience store today is much different from five to 10 years ago,” LaFreniere said. “We used to bank on selling gasoline, soft drinks and cigarettes. That was the model for many years. It’s practically impossible for store development to operate unencumbered by rapidly evolving customer expectations. As the blueprint for the ideal physical retail space undergoes endless revision, teams are learning to incorporate new layouts and experimentation on the fly. Trying to minimize build spends while navigating uncharted territory in an already complicated process can prove to be a real test. The need then, for retailers like Shinola, to juggle cost cutting, while delivering an experience consistent with the brand’s image is paramount. Though at times, Delusky admitted this can be like attempting to add a chainsaw to the routine. “It’s a matter of approaching really strong Creative Directors and saying ‘You can’t have gold-plated fixtures.’ Having said that, we won’t necessarily accept going with something less expensive, or settling for fewer features in an installation. We still need to meet their vision because that uniqueness in our spaces is what makes Shinola different,” he said. A greater focus on new experience benchmarks is also affecting the rate at which the luxury fashion brand updates its stores. 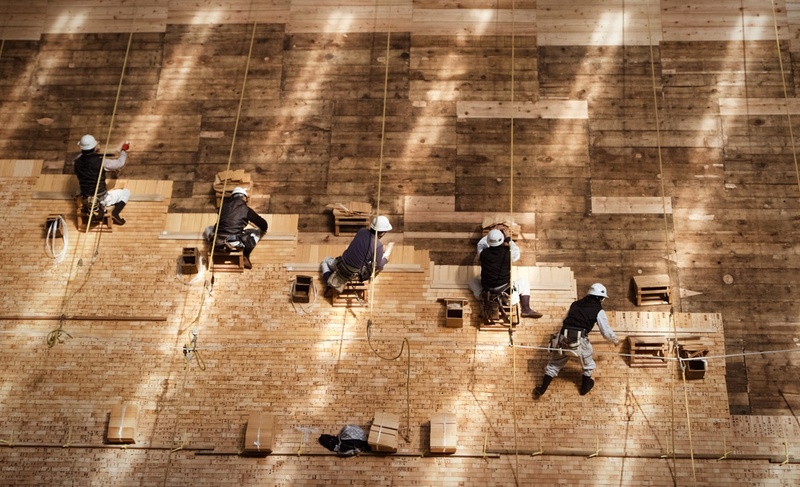 While Shinola aims to revisit a location every three to five years, new trends and concepts can force remodelling efforts to occur sooner than usually planned for. In this instance, even for convenience retailers, adhering to a set formula isn’t possible. This kind of targeted approach will remain invaluable for store development in years to come. No two buildouts can ever be viewed under the same microscope. With effective time management and planning, leaders can manage escalating costs in a way that both helps a brand’s bottom line, while remaining relevant in a rapidly shifting retail environment. Join us at RetailSpaces to explore this topic and many more focused on the future of brick-and-mortar. Click here to learn more.